Occlusal guards are removable devices that fit around your teeth to protect them from teeth grinding. They are generally worn while you sleep at night to prevent your teeth from wearing down due to the grinding of teeth while sleeping. Occlusal guards may also be worn during the day by patients who suffer more serious teeth grinding issues. Should You Wear An Occlusal Guard? If you wake up in the morning and have a headache, a toothache, or don't feel rested, you may grind your teeth while sleeping. If your dentist notices that your teeth have been grounded down to a more flattened surface than normal, you may be provided an occlusal guard. Over time, teeth grinding wears down the surface of your teeth to a flattened shape. This causes headaches, a loss of sleep, and other issues. If you are experiencing any of these systems, give us a visit and we'll help you determine if an occlusal guard is right for you. Long-term teeth grinding issues may lead to fractured teeth or even loss of teeth. An occlusal guard is a preventative measure to stop these dental issues from happening. How Does An Occlusal Guard Work? Occlusal guards relax the jaws and in return lessen clenching of your teeth, protecting them from further joint problems. The process usually takes two visits for you to receive your finished occlusal guard. First, a mold is made of your mouth. Then, the mold is used to make the actual occlusal guard. Finally, the occlusal guard is fitted in your mouth at our office and checked to make sure it fits properly. In many cases, you only need an upper guard. However, in some cases both an upper and lower guard are needed. If you think you clench or grind your teeth, please give us a visit to determine if an occlusal guard is right for you. If you ignore the issue, grinding your teeth may damage teeth, cause gum problems, and worsen jaw tension. Wearing an occlusal guard is an issue way to prevent this issues from ever occurring. Sport mouthguards protect your teeth from sport injuries. They protect teeth from blows to the head or face during sporting events. They are made to fit well and stay in place during fast paced games. They can be the difference between losing teeth or having no damage to your teeth. They are great for children playing for their local sports team to professional athletes. Not only do they protect your teeth, but they protect your lips from getting cut, your tongue from getting bit, and your mouth from getting damaged. 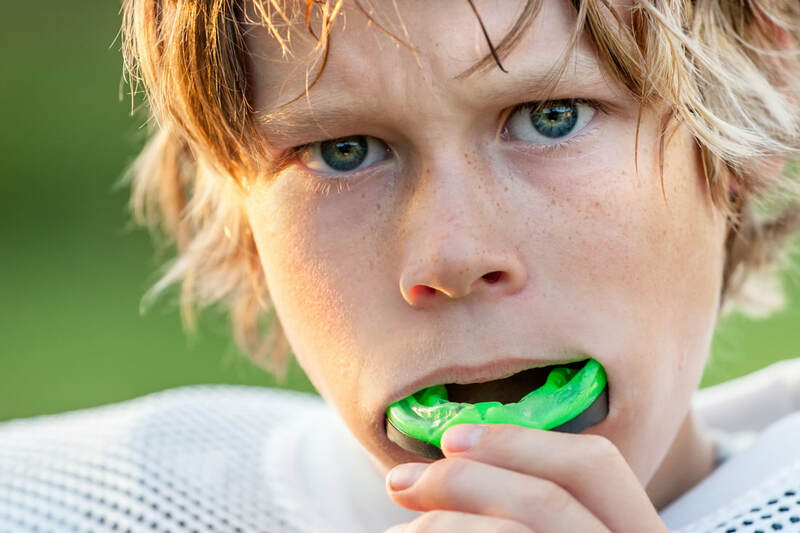 We make custom mouthguards so your children receive optimum protection during sporting events to protecting professional athletes in fast paced, aggressive games. ​Schedule an appointment with Dr. Webb today. 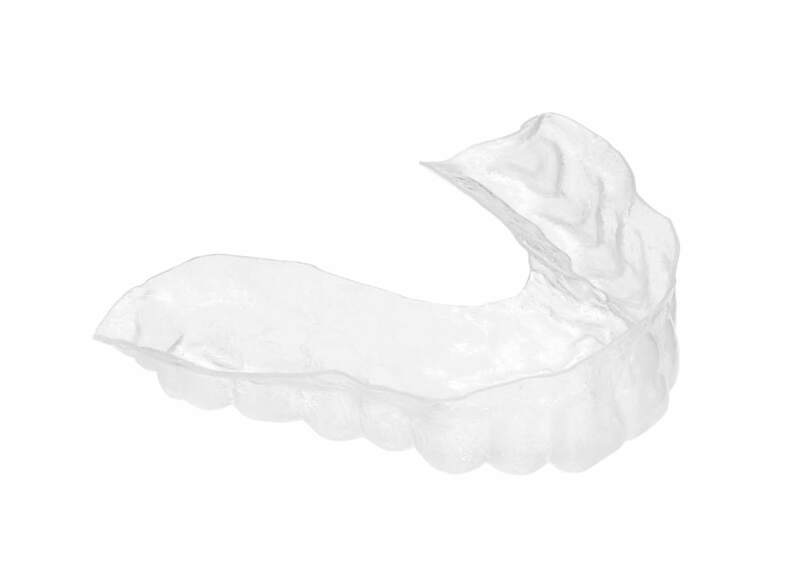 Whether you grind your teeth or need extra protection during games, we'll create a custom-made mouth guard providing optimum protection for any type of sporting event or teeth grinding situation.